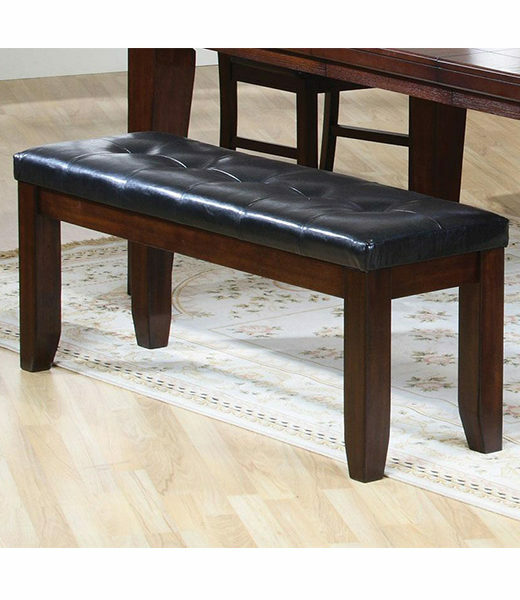 Pull up a seat and compliment your dining room table with the charming simplicity of this bench. 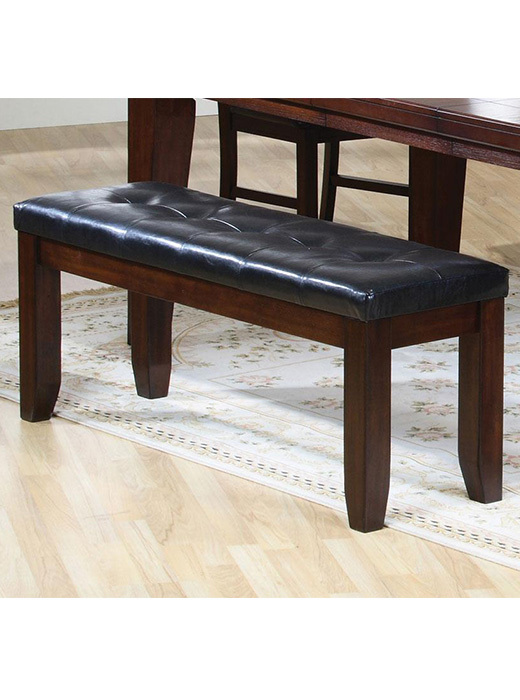 Pull up a seat and compliment your dining room table with the charming simplicity of this bench. The button tufted black upholstered cushioned seat and bold tapered legs enhance the rustic oak finish. Arrange with the coordinating side chairs and rectangular table for a polished and inviting dining room look. Construction Constructed from hardwood solids and birch veneers.